Global Missions Fulfill your calling today! Globally impact the world through global missions. Jesus’ mandate for global evangelization begins with the word “Go.” Go is a very small but powerful word. Jesus told us who should go. He told us where to go. However, it’s up to us to find a way to get to the nations. Learn how you can become involved in global missions. In Christianity today those being trained for global missions are sometimes called “disciples” or “Christian disciples.” After proper missions training Christian disciples can become missionaries. How can you become involved in global missions training and what kind of missionary would you like to be? Medical missionaries care for the sick and the aged. Education missionaries educate orphans and adults. Construction missionaries build tents, buildings and other things. Evangelistic missionaries conduct revivals and crusades for Christ. Street missionaries minister to drug addicts and prostitutes. Acts 1: 8 Luke 10:19 Mark 9:29 “But you will receive power when the Holy Spirit comes on you; …”. I have given you power to trample on snakes and scorpions and to overcome all the power of the enemy; nothing will harm you.” “ “This kind can only come out by prayer and fasting. Prepare for global missions training. A young man dreamed about the letter “P.” He thought the “P” meant to go preach. He shared his dream with an elderly preacher. The old man told the young preacher that the “P” meant to prepare. In addition to secular education, enroll in Christian disciple training under a qualified Godsent Spirit-filled mentor in your church or ministry. Learn from your mentors’ missionary stories. Stay committed. Help with your community outreach missions projects. Find a missions country that interests you. Watch our Christian Travel TV online video tours to help you decide. 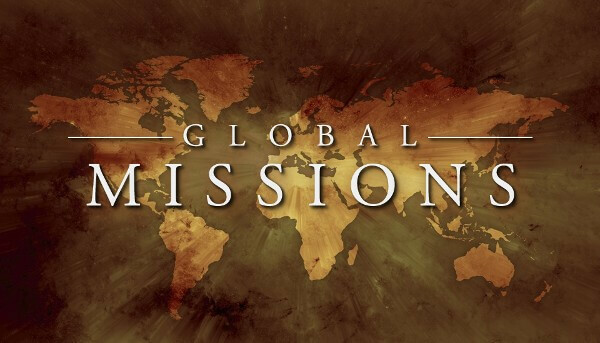 Get ready to go on your first global missions assignment. Jesus mentored His disciples for at least 3 years. After 6 months or more, Christian disciples can begin training as a missionary. Get ready for a real missions trip. Now you can apply your evangelistic skills in a real life setting. Enroll in missionary training at your church, ministry or a missionary school. Some churches, ministries and missionary schools have online applications. Pray for a Holy-Spirit filled global missionary mentor. Be committed to prayer, fasting, classes and assignments. There are no impossible missions in global missions. Go beyond your backyard. Go outside your church walls. Go to the nations. Boldly go where no one in your family or ministry has gone before. Reach the unreached. Share Jesus’ love and compassion with the unloved. Provide food for the hungry and homes for the homeless. Come back and make more Christian disciples by sharing your missionary story. Do you have a desire to go on global missions but can’t go? Send your heart your hands and your feet on a Godsent mission. Contact a local charity, a ministry, church or missionary school today. Help someone else go. Solomon said, in Ecclesiastes 10:19, “…money answereth all things.” Be a charity missionary. Is global missions a part of your Christian walk? Share your missions trip experience. We look forward to hearing from you. Visit our global ministry project at KNCB.ORG. Also, see us on Facebook at Kingdoms Network Christian Broadcasting and Godsent TV.